According to research conducted by the University of New York, out of every a hundred people, three to five of them struggle with gambling. These statistics are astonishing considering the rising number of online and offline casinos. Just like in drug addiction, gambling addiction refers to the stage whereby a person cannot resist the impulse to gamble. They end up using the monies they had budgeted for other purposes to indulge in gambling. How do you tell that you might be getting addicted? Being dishonest with family members and friends in an attempt to cover up the extent to which one is gambling. Being preoccupied with thoughts and activities that are related to gaming. Jeopardizing relationships with family members, employers and so on to keep up with betting. Not able to cut down or control your gambling. The very first and crucial step to recover from gambling addiction is identifying that you have a problem. Once you identify that you suffer from most of the named signs, it’s evident that the time is due to seek professional help. It is very critical to get help from a professional psychotherapist. The addiction could be stemming from underlying emotional issues which could be resolved through therapy. This could help unearth the roots of the addiction making it easy to change the behavior. GA refers to a 12 step recovery program that uses group support for therapy. The group therapy is highly effective as can learn from other members of the group who have successfully recovered from the vice. The group acts as a support system for the person. This program allows one to attend to their other social responsibilities. It is effective when one is attending both the group and one-on-one counseling sessions. The inpatient rehabilitation program is effective with the patients who are suffering from chronic addiction. These clients might need some to be taken away from the casinos or denied access to the gambling joints and platforms. The use of medication to treat gambling is rare. However, it might be necessary when the client has an underlying mental condition such as bipolar disorder. This is an option for people who recognize that they have a problem early enough. It involves using the support system such as family and friends. They help one make considerable life changes to counter the impulse to gamble. It might involve establishing ways to protect one from misusing their finances. In conclusion, gambling addiction is becoming a significant challenge to the youths. It is estimated that in college around 70% of the youths engage in some sort of gambling. It is crucial to note the signs of gambling addiction so that one can be proactive in controlling their behavior. 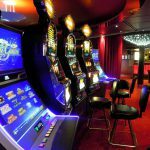 This might prevent them from spiraling down to compulsive gambling addiction.